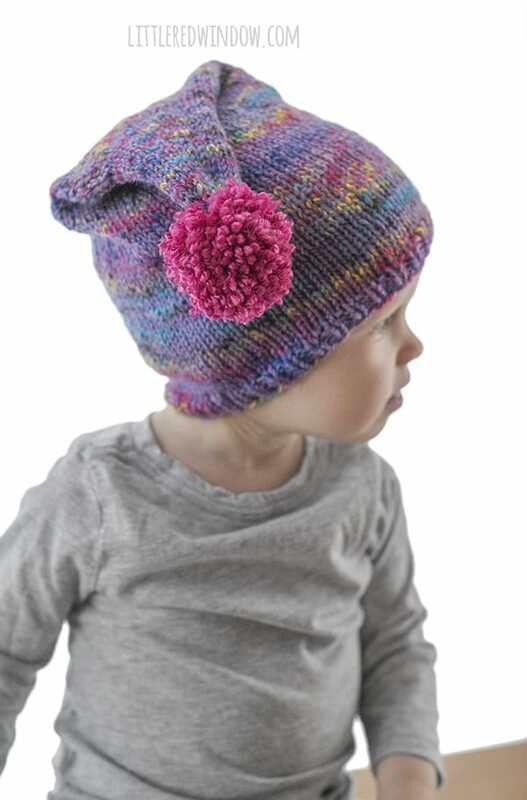 This easy pom pom stocking cap knitting pattern, complete with an adorable pom pom, is such a fun and easy baby hat to knit for your little one! 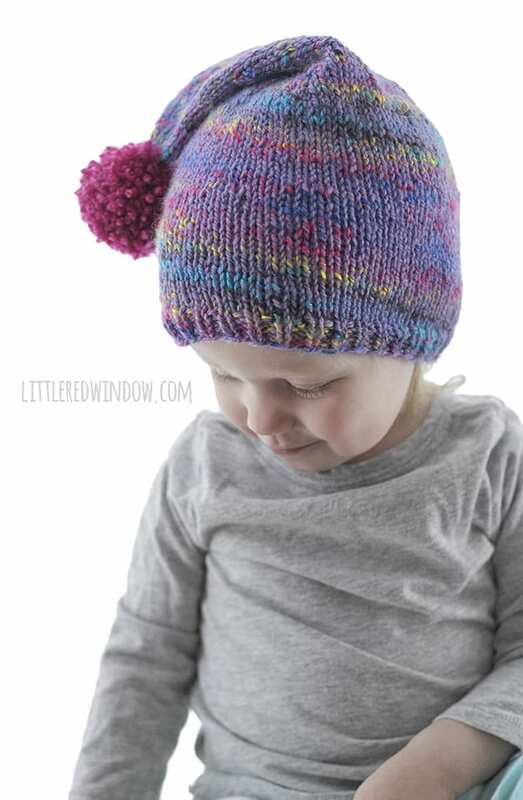 Welcome to week 6 of my Back to Basic baby hat knitting pattern series! 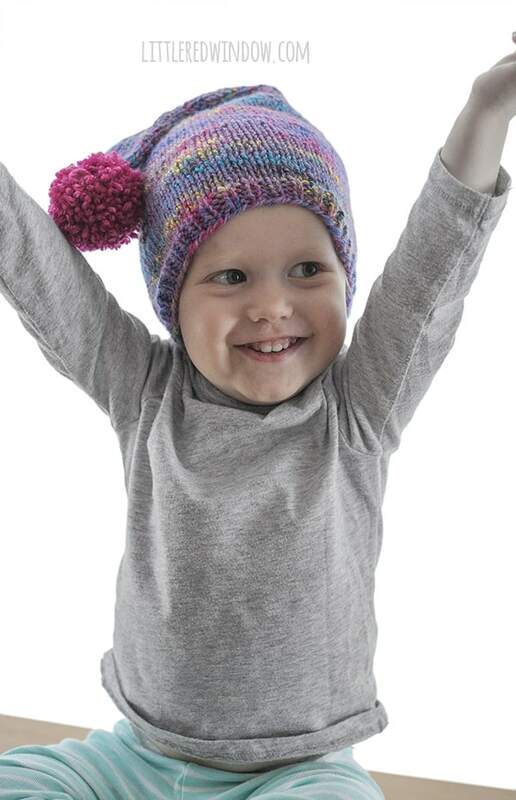 This adorable pom pom stocking cap knitting pattern is so much fun! 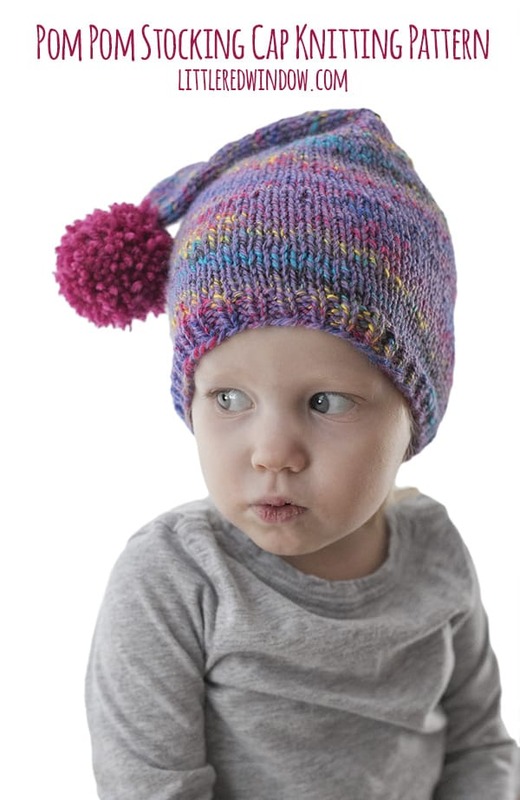 I know, you might be wondering, is this stocking cap knitting pattern really a “basic” baby hat pattern? Well, YES! Honestly, it’s pretty much the same as other hats but with a few more rows of knitting. Really. And it’s just so stinkin’ cute with a little pom pom on top! I grabbed this fun yarn the last time I was visiting my parents and it was such a blast to knit with. It’s called Jelli Beanz by Plymouth Yarns and the color is 2033. I had a little trouble finding it at my usual online stores so I’m linking it here for those of you who want this exact fun yarn! 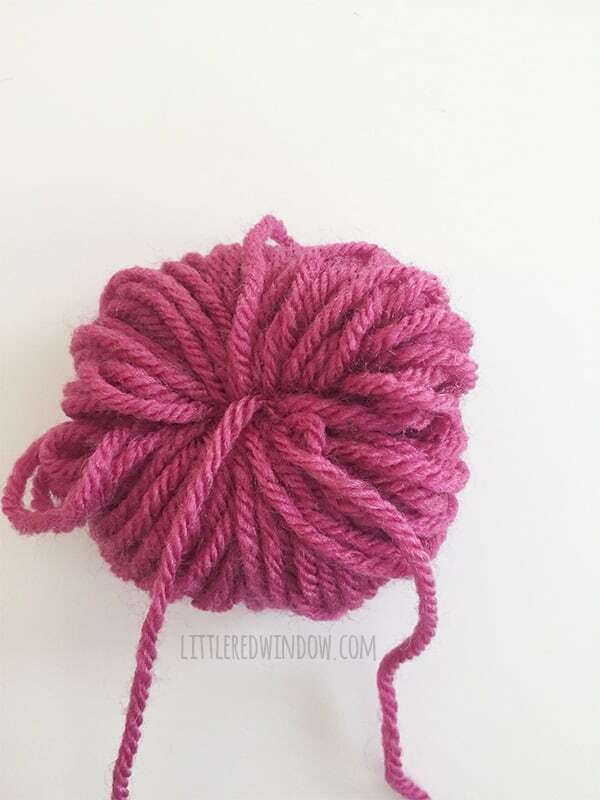 Also, if you haven’t made a pom pom before, I promise they’re super easy. 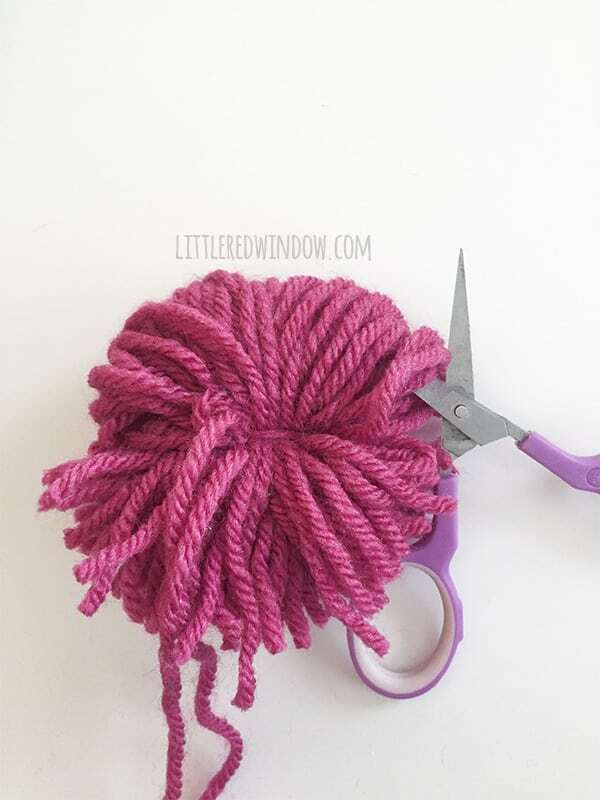 You honestly really don’t even need a fancy pom pom maker, it’s incredibly easy to do just with your own fingers! Don’t believe me? 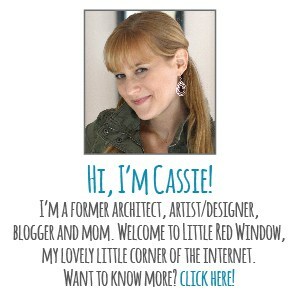 Scroll on down and I’ll show you how! Worsted weight yarn I used this yarn in raspberry plus the Jelli Beanz speckled yarn I linked to above! Using long-tail cast on, cast on 72 stitches onto your circular needles. 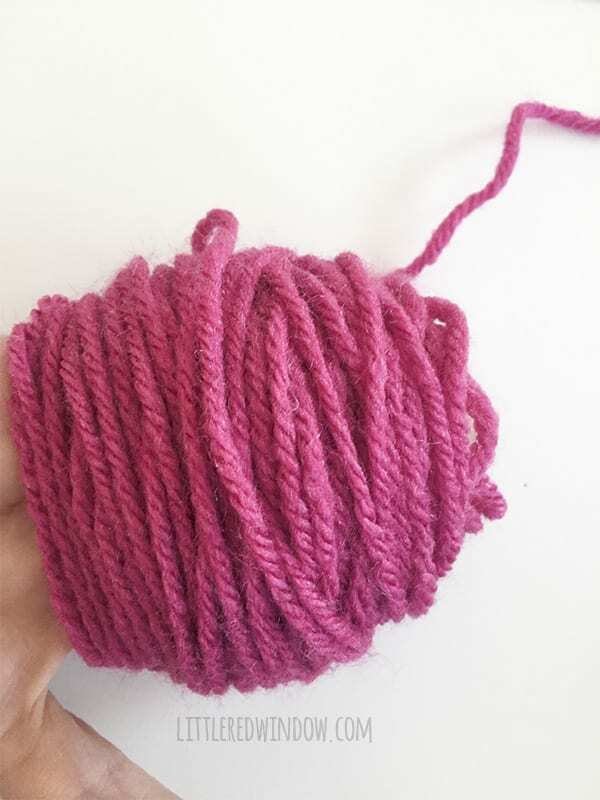 Join to knit in the round and k1, p1 in a rib stitch for 4 rounds. Knit all rounds until the hat is about 5 inches long. Cut a piece of yarn about 18 inches long and set it aside. 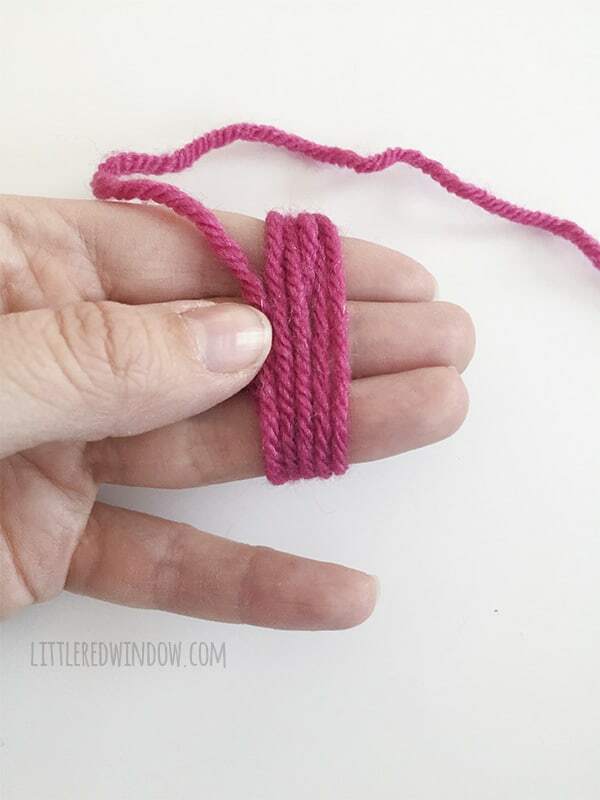 Wind the yarn around the three fingers of one hand at least 100 times. The more times, the denser your pom pom. Tie one end of the yarn piece you set aside very tightly around the center of the wound yarn. 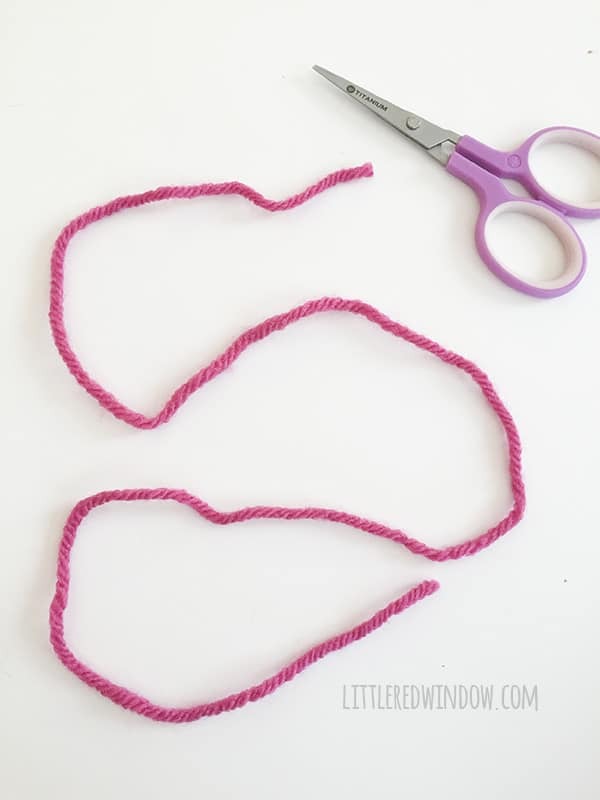 Leave the other end of this center tie long to attach the pom pom to the hat.Using sharp scissors, cut the loops on either side of that center tie to release the pom pom. 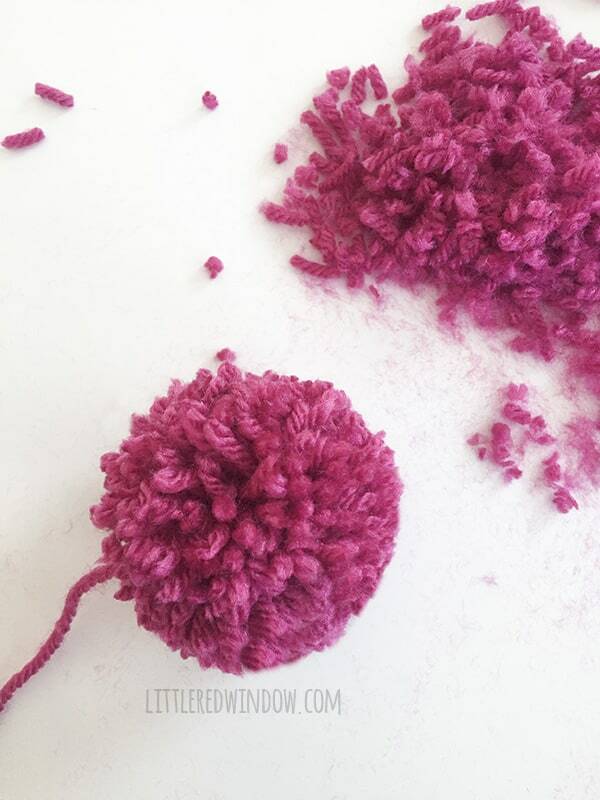 Trim your pom pom as necessary to make it nicely and evenly round. And that’s it! 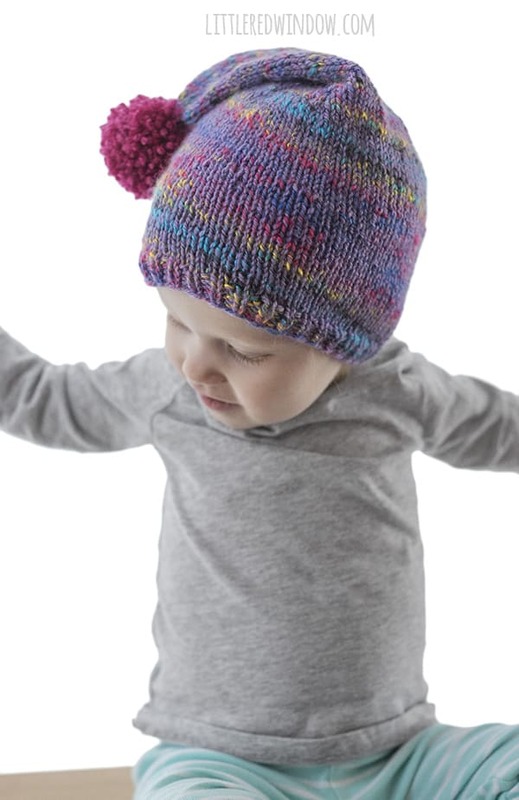 If you want a super easy to print pom pom stocking cap knitting pattern that includes sizes 0-3 months, 6 months, 12 months, 2T+, click the button below!